lenses are very comfortable! Ive used a few others lenses in the past but always had dry eyes after, couldnt weare lenses all day. Those lenses are just perfect!!!! dont feel them at all. The best so far, seriously!Will buy them from now on. Two-week contact lenses from Johnson & Johnson made with revolutionary technology for exceptional long-wearing comfort. 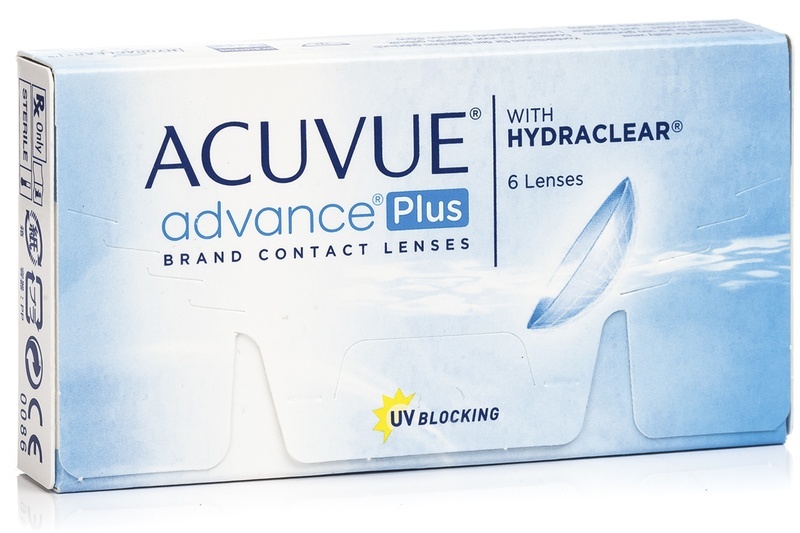 ULTRA-CLEAN – unique to Acuvue Advance Plus – keeps protein sediment away from the lenses and HYDRACLEAR keeps them moist. Acuvue Advance Plus contact lenses will no longer be in production. The producer does not offer any direct substitution or a suitable alternative. We recommend consulting your eye care specialist about other available options. Once you choose the correct parameters for you right eye, click Add to basket and continue with the order. If you need help, please do not hesitate to call us on 0117239825. Hello, You do not need to fill the information for the left eye, just ignore it and order only for your right eye. Hello, The right choice of base curve can be done only by your optometrist. Each lens make has a different fitting and only your optician will know what fits you the best. 8.7 is a looser fitting lens.